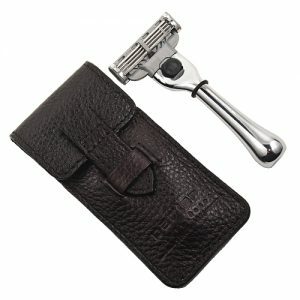 The Parker 50M Mach 3 Compatible triple blade razor is handmade with a genuine ox horn handle. 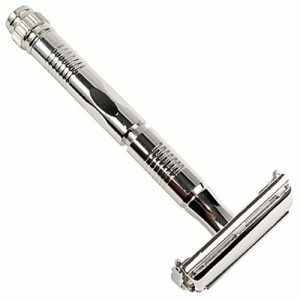 The Parker 50M Mach 3 Compatible triple blade razor is handmade with a genuine ox horn handle. Many cartridge users prefer the Mach 3 system for it’s ease of use. 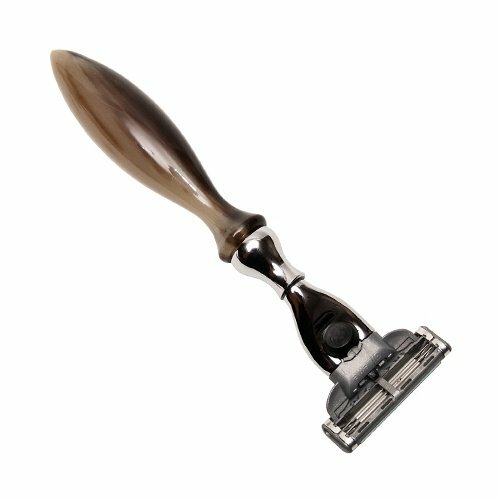 Please note that due to the natural materials used, every razor looks slightly different, but all are beautiful – an especially unique gift idea! Packaged in a Gift Box, 1 Gillette Mach 3 blade included. 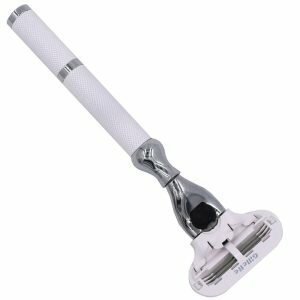 Razor Type: Mach 3 Compatible – Uses Gillette Mach 3 cartriges. Please contact your retailer or stockist where you purchased your products. They will be happy to help you.